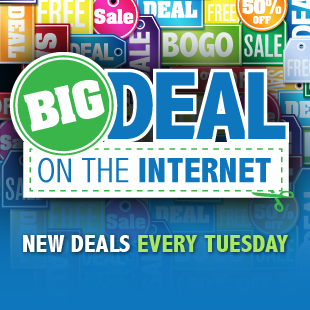 Welcome to "Big Deal on the Internet" - our new weekly news post that will bring you the biggest gaming deals across the internet every Tuesday. It's powered by our friends at Dealzon, who search through all the tubes of the interwebs to find the best prices and coupons on all the gaming stuff you need, including the latest console titles, PC digital copies, Xbox LIVE discounts, console and PC hardware and accessories, and more. We promise to only share deals from legitimate retailers that we'd use ourselves, so you'll have to excuse our not listing every shady CD key web shop out there. We work hard to provide current and accurate deals, but since prices and discounts can be fluid and often change without notice, please accept our apology in advance for the inevitable occasions when a deal expires or goes out of stock by the time you click it. And if you spot a good deal not listed, let us know in the comments and we'll be sure to investigate! And now we present..."Big Deal on the Internet"
This week we have the best deals on the brand new Black Ops 2 (Dell's throwing in a $20 eGift Card) as well as four of today's releases on PC. And if you're one of the four people who hasn't bought Halo 4 yet, Dell offers the $20 bonus on that game, too. Also notable are XCOM Enemy Unknown PC download version at GMG for $12.50 less than Amazon and a half-price deal on Battlefield 3 Premium download. In hardware, the MW3 edition Logitech G105 keyboard that just dropped to a new all-time low price ($55 cheaper than a year ago), and we have coupons for the new Lenovo Y series IdeaPads that can hold second GPU via swappable optical drive. Today's release: Call of Duty: Black Ops 2 + $20 eGift Card (Xbox 360, PS3, PC) - $59.99 at Dell Home. List is $60. Developed by Treyarch and published by Activision. No coupon required, deal should last until November 18th. Game is in stock and usually ships within 24 hours. For the 360 and PS3, Toys R' Us has the game for $49.99 with free shipping but no bonuses. Halo 4 + $20 Dell eGift Card (Xbox 360) - $59.99 at Dell Home. Developed by 343 Industries (rather than Bungie) and published by Microsoft Studios. No coupon required, deal should last until November 18th. Ships within 24 hours. Earth 2160 (PC Download) - $0 at Green Man Gaming. Normally $8. Developed by Reality Pump studios and published by Midway Games. Released November 2005. No coupon required, deal ends today. Today's release: F1 Race Stars (PC Download) - $32.39 at GameFly. Next best is $41. Developed and published by Codemasters. Today's release: The Sims 3 Seasons Limited Edition (PC Download) - $30 at Green Man Gaming. List is $40. Developed by The Sims Studio and published by Electronic Arts. Deal expires November 15. Today's release: LEGO Lord of the Rings (PC Download) - $22.50 at Green Man Gaming. List is $30. Developed by Traveller's Tales and published by Warner Bros Interactive Entertainment. Deal expires November 15. Nov. 20: Hitman: Absolution - Professional Edition (PC Download) - $33.75 at Green Man Gaming. Next best is $45. Feb. 12: Aliens: Colonial Marines (PC Download) - $37.50 at Green Man Gaming. List is $50. Rocksmith Guitar and Bass (Xbox 360, PS3, PC) - $59.99 at GameStop. List is $80. Assassin's Creed 3 (Xbox 360, PS3) - $53.99 at NewEgg. Next best is $58 at Amazon. NBA 2K13 (Xbox 360, PS3) - $49.99 at Amazon. Next best is $58 at JR.com. Mass Effect 3 (Xbox 360, PS3) - $17.99 at Best Buy. Next best is $22 at NewEgg. Dark Souls (Xbox 360, PS3) - $14.99 at NewEgg. Next best is $23 at Amazon. Akai Katana (Xbox 360) - $14.75 at Amazon. Next best is $20 at NewEgg. Too Human (Xbox 360) - $5.99 plus $3.49 shipping at GameStop. List is $20. 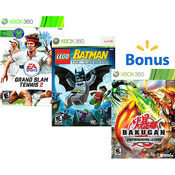 Walmart: Buy 2 Xbox 360 Games Get 1 Game Free - at Walmart. 35 titles to choose from. 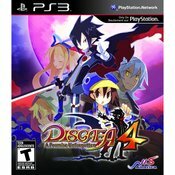 Disgaea 4: A Promise Unforgotten (PS3) - $19.99 at NewEgg. Next best is $26 at Amazon. The Darkness 2 Limited Edition (PC) - $5.99 at NewEgg. Next best is $16 at Amazon. Borderlands 2 (PC Download) - $34.45 at Green Man Gaming. Next best is $48 at GameFly. XCOM Enemy Unknown (PC Download) - $32.50 at Green Man Gaming. Next best is $45 at Amazon. Chivalry: Medieval Warfare (PC Download) - $16.25 at Green Man Gaming. List is $25. Viking: Battle for Asgard (PC Download) - $11.25 at Green Man Gaming. List is $15. Asguaard (PC Download) - $10.86 at Green Man Gaming. List is $29. 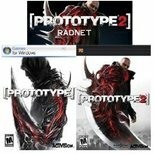 Prototype Pack (PC Download) - $9.99 at Amazon. List is $90. 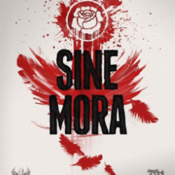 Sine Mora (PC Download) - $6.75 at Green Man Gaming. List is $10. Star Wars: Knights of the Old Republic (PC Download) - $4.99 at GameFly. Next best is $10 at GameStop. Drip Drip (PC Download) - $3 at Green Man Gaming. List is $10. XFX FX797ATDFC Double D Radeon HD 7970 3GB GDDR5 PCIe Video Card with 4 free game bundles via game coupon codes: FarCry 3, Hitman Absolution, Sleeping Dogs, and Medal of Honor WarFighter Limited Edition Game Coupon - $356.99 at NewEgg. Next best is $370 at TigerDirect. MSI GeForce GTX 660 2GB GDDR5 PCIe Video Card N660 TF 2GD5/OC - $191.99 at NewEgg. Next best is $230 at Amazon. 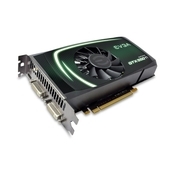 EVGA GeForce GTX 560 Ti FPB 1GB GDDR5 PCIe Video Card 01G-P3-1561-AR - $149.99 at TigerDirect. Next best is $206 at Amazon. EVGA GeForce GTX 550 Ti 1GB GDDR5 PCIe Video Card 01G-P3-1556-KR with Duke Nukem and CPU Magazine Coupon - $89.99 at NewEgg. Next best is $134 at Amazon. 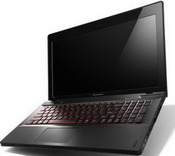 Lenovo IdeaPad Y500 95412SU Gaming Laptop Ivy Bridge Core i7-3632QM, 8GB RAM, GeForce GT650M, Windows 8 - $899 at Lenovo. Newly released but shipping time frame is 2 weeks. Comes with swappable optical drive bay option so you can add in a 2nd graphics card or hard drive for more performance. List is $1,149. Lenovo IdeaPad Y400 95232FU Gaming Laptop Ivy Bridge Core i7-3630QM, 8GB RAM, 1TB HDD + 16GB SSD, GeForce GT650M, Windows 8 - $919 at Lenovo. List is $1,349. Like the Y500 above, the Y400 has a swappable optical bay drive, allowing for a 2nd graphics card or hard drive. Shipping is more than 4 weeks. HP Envy dv6t-7200 Quad Edition Ivy Bridge Core i7-3630QM, GeForce GT 630M 1GB, Windows 8 - $764.99 at HP. List is $900. HP "refreshed" the Pavilion line-up with the Envy branding. We see no real change to the hardware or specs. Lowest price we've seen for this model with Windows 8. HP Envy dv7t-7200 Quad Edition Ivy Bridge Quad Core i7-3630QM, 8GB RAM, GeForce GT 630M 1GB, Blu-ray, Windows 8 - $849.99 at HP. List is $1,000. Like the dv6 above, it was also refreshed with the Envy name branding with no significant changes beyond inclusion of Windows 8. 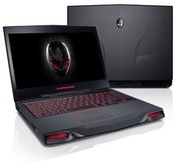 Alienware M14x r2 Ivy Bridge Core i5-3210M 3rd Gen, 8GB RAM, 1GB GeForce GT 650M - $949 at Dell Home. Rarely goes under its list price of $1,074. 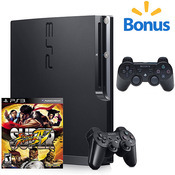 PS3 Slim 160GB Console Ultimate Bundle with Game and Wireless Controller - $259 at Walmart. Buying separately would be $373. Logitech G600 MMO Gaming Mouse - $61.99 at NewEgg. Next best is $66 at B&H Photo. Turtle Beach Ear Force X31 Digital Wireless Gaming Headset (Refurbished) - $29.99 plus $3.80 shipping at TigerDirect. Next best is $50 at Buy.com. 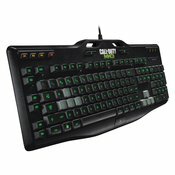 Logitech G105 Gaming Keyboard Call of Duty: MW3 Edition - $24.99 at NewEgg. Next best is $32 at Amazon. 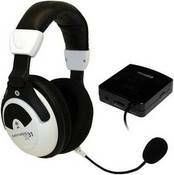 Corsair Vengeance 1100 Gaming Headset - $19.96 at TigerDirect. Next best is $37 at Amazon.